The train service which was suspended after a spate of violent attacks and vandalism, is set to be reintroduced on Saturday, 19 May. The suspension of Metrorail passenger train services in Mamelodi, east of Pretoria, has been lifted with the Passenger Rail Agency of South Africa (Prasa) announcing today it has concluded a successful stakeholder engagement session which paved the way for the reintroduction of the train service. “The level of commitment demonstrated by different stakeholder structures including all spheres of government, labour, commuter and community organisations is highly appreciated and commendable,” said Lindikhaya Zide, acting group CEO of Prasa. “We are now confident that we can reintroduce the train service starting on Saturday, 19 May 2018. We hope that the commuting public and communities will work closely with us to protect these valuable assets. He appealed to train commuters in the Mamelodi corridor to report all forms of crime they witness taking place against Prasa assets, fellow commuters and staff to the police or security officials at stations “so that perpetrators can be immediately arrested”. The Prasa management assured staff and commuters that their safety remains a priority. 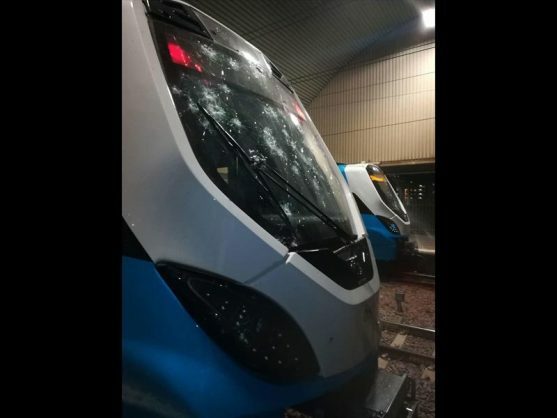 Prasa suspended the train service between Koedoespoort and Pienaarspoort stations after a train was vandalised at the Eerste Fabrieke Station in Mamelodi. The train driver was stripped naked, hit with a brick and dragged into thickets next to the tracks. Ten other railway employees were also attacked last week. In addition, the train crew, security and customer services officials were assaulted and left traumatised. One person has been arrested over the incident. Gauteng Transport MEC Ismail Vadi said he hopes the signing of the social compact between Prasa and different stakeholders in the sector will ensure that the trains are protected. “Our message is simple, our people come first. Who suffers [when trains are suspended] it’s not the wealthy and those with beautiful cars going to work in congestion – it doesn’t disrupt their lives. Tshwane MMC for roads and transport Sheila-Lynn Senkubuge said vandalising public infrastructure is going to have “dire consequences” for the Mamelodi community.